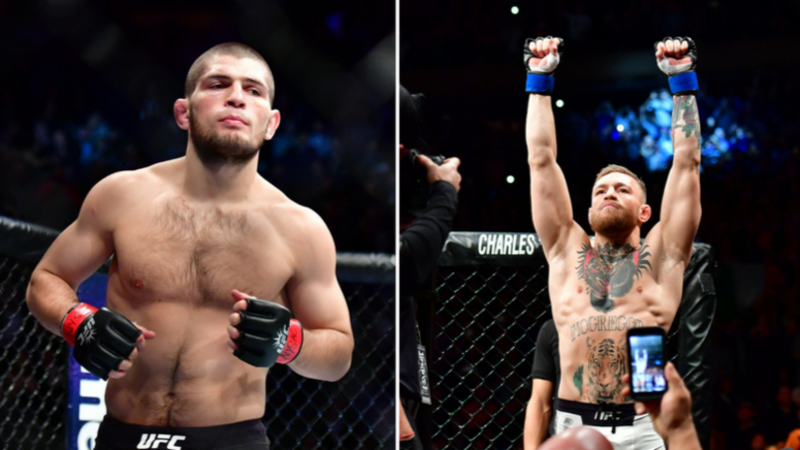 Khabib Nurmagomedov has told Conor McGregor that he needs to get some more wins under his belt if he&apos;s to have the chance of a rematch with the Russian, following McGregor&apos;s review of their first fight. It&apos;s not even three weeks ago since Conor McGregor &apos;retired&apos; on social media and already the Irishman has been unretired about a week and called out Khabib Nurmagomedov for a rematch from their controversial UFC 229 fight. McGregor used his time as a man of leisure by continuing his rivalry with the Russian, as well as his rivalry with Paulie Malignaggi, with constant jibes on Twitter. Retired or not the two men hadn&apos;t been able to fight until the beginning of this month because of the suspensions they received due to their roles in the post fight brawling that took place. However having felt it in there, I highly disagree with the "best grappler in the UFC" comment regarding Khabib. McGregor&apos;s last win was in December 2016, when he beat Eddie Alvarez at UFC 205 for the lightweight title, and after he took a break before moving to boxing to face Floyd Mayweather. Khabib&apos;s next fight won&apos;t be against his fiercest rival and will now be against Dustin Poirier after the American, a former McGregor opponent, became the interim lightweight champion. Poirier beat Max Holloway, another man who&apos;s previously lost to the Irishman, on a points decision on Saturday night at UFC 236 to take the interim crown. Will McGregor and Khabib eventually have a rematch and who should the Irishman face to earn it?